Large and cozy, the Main Haus has all the comforts of home with an extra large kitchen, living room, fireplace, and satellite TV. The home includes 3 bedrooms (each with a full size bed and pull out sofa), 1 master bedroom (with three full size beds and pull out sofa) and three full sized bathrooms. A large stone social patio connects the Main Haus and the Barn Haus units. 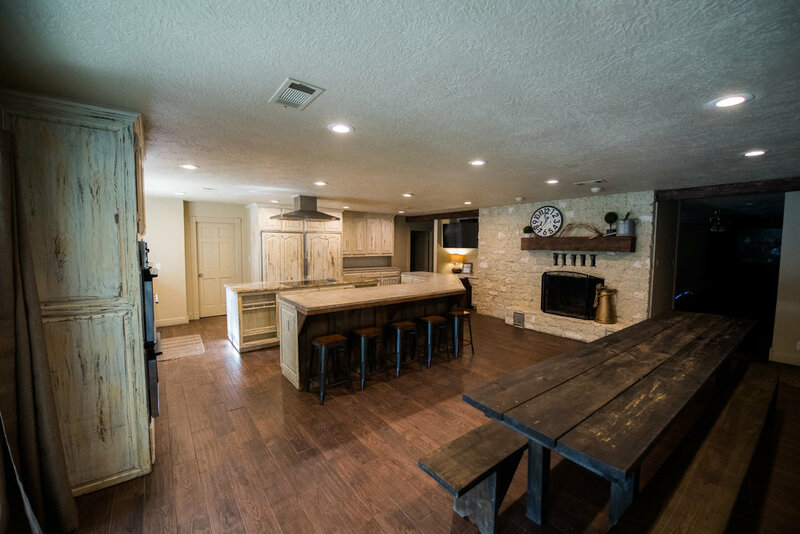 This area includes a covered patio space, farm tables, benches, outdoor grill, fire pit, and ample seating for conversation.